At Sassy Chics, we offer a variety of packages to spoil and pamper your little treasures. Our themed packages will ensure a fun time & lasting memories. 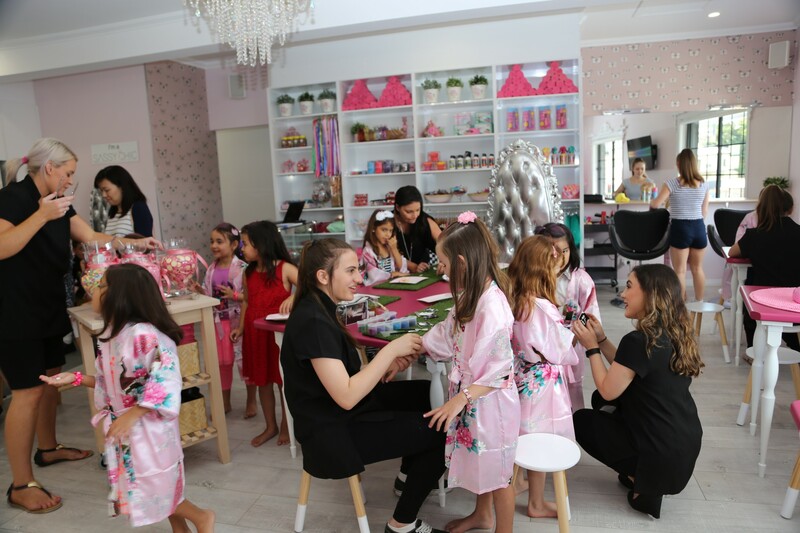 Package indulgences include Manicures, Scented Foot Spa, Hair Crimping, Chocolate Facials and more…..
Our parties feature all the bells and whistles! Birthday Tiara, Hair Glitter, Candy Bar, Party Bags to name a few. All packages can be customized to satisfy your needs. Food and beverages can also be adapted to your party requirements. PARTIES AVAILABLE 7 DAYS A WEEK! Let our friendly staff look after your next party! Permitting the date and time is available, 7 days notice is all that is required. Do I have to stay and attend the party with my children? No. You are free to drop them off and leave until the time the children need to be picked up. We have a very secure premise not accessible to anyone outside the party guests. There are also packages available for Parents to enjoy while they watch their children being pampered. Just go to Parents Nest and have a look at what is available. Are all products used suitable for children? Yes. All products are carefully selected. Please contact us for children’s special needs. If we didn’t answer all of your questions, please email admin@sassychics.com.au.